A fireplace can add an extra touch to a home. If you are looking for a superior touch and enhanced quality to your home, look into linear electric fireplaces. These fireplaces come in various sizes and can be placed in any room to add that special touch. 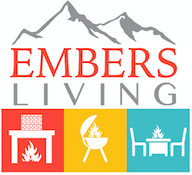 At Embers Living, we carry a number of brands including Napoleon, Dimplex, Amantii and more. Check out the wide selection of electric fireplaces with Embers Living and start shopping online with us today!